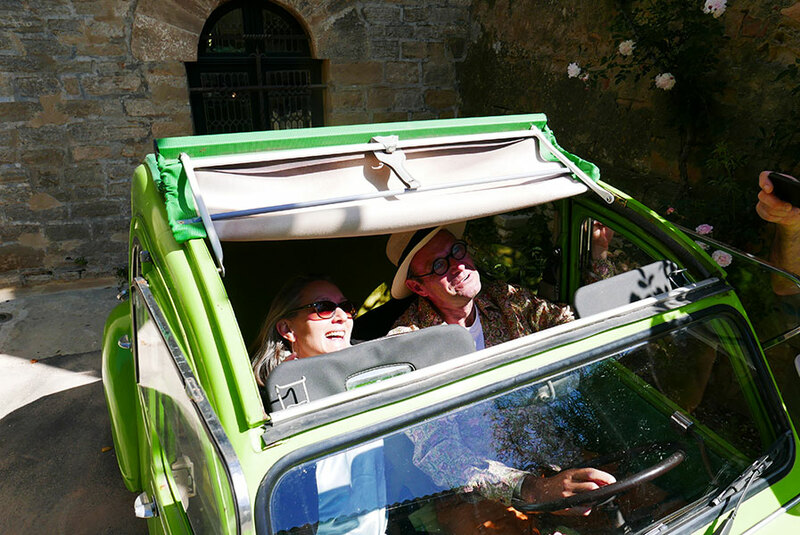 Explore Uzès and Uzège in an original and exciting way! 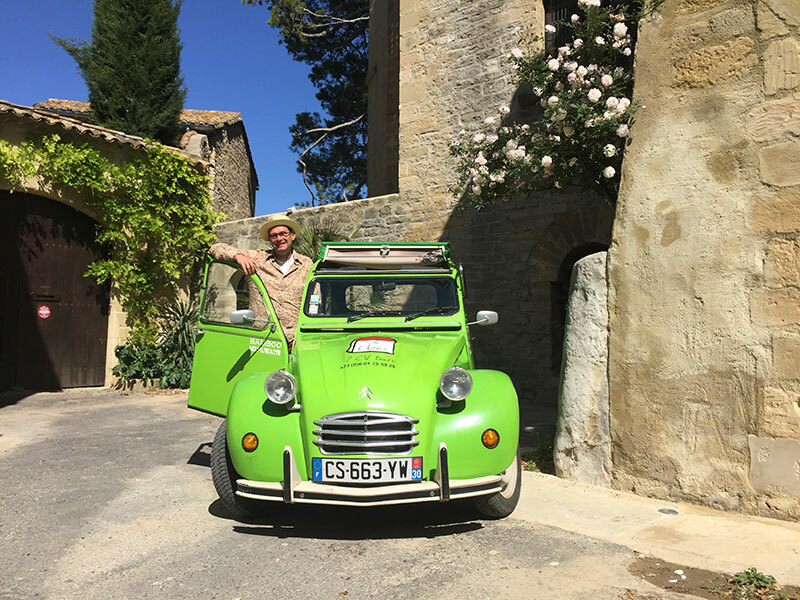 Florian Stoll, driver and tourist guide, is French-German. 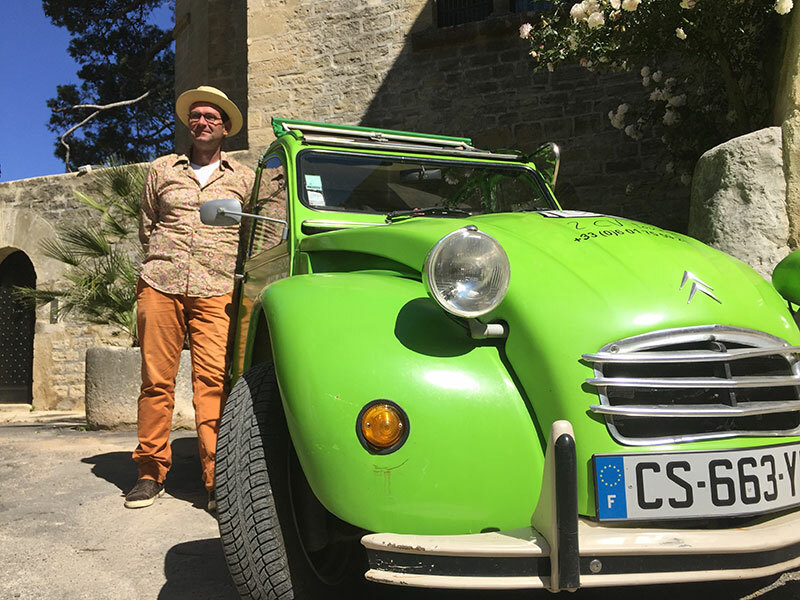 He will show you around the region he adopted 25 years ago on board one of the greatest legends of French culture: a green 2CV car named Bamboo. 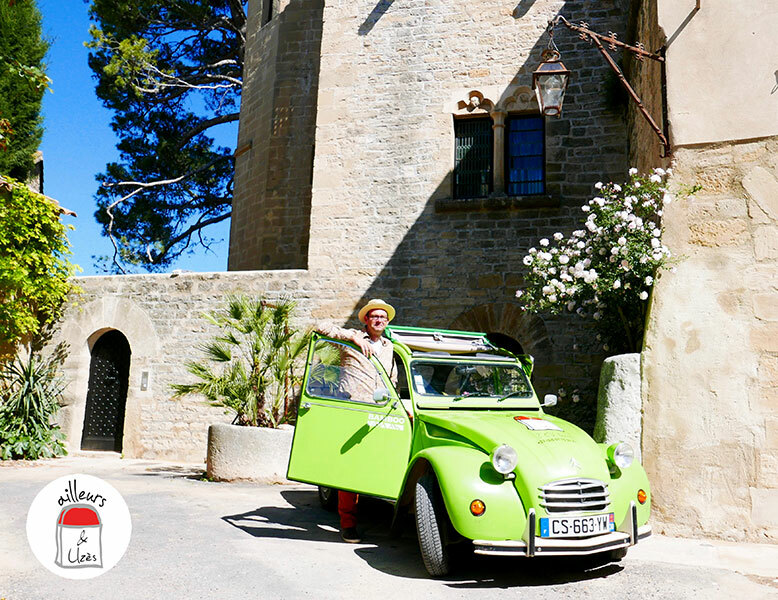 Depending on whether your trip lasts a day (with a countryside picnic) or half a day, trips ranging from € 190 to € 380 are available. 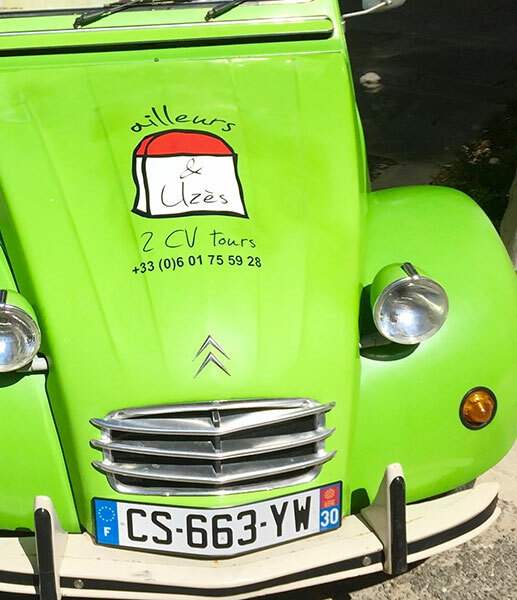 To take advantage of this offer, tell us about it when you reserve at the Tour Sarrazine. 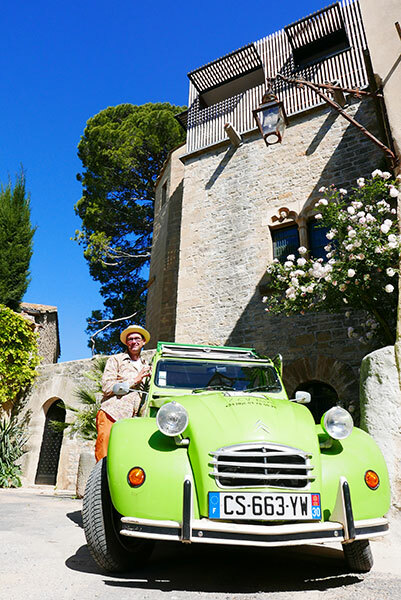 Florian is in great demand, especially during the high season!